January | 2010 | Solving Our Personal, Community and Global Ultimate Destiny Success Puzzles -- Together, Yes We CAN DO! “America’s destiny is not power. . . . it is light.” — Benjamin Franklin. 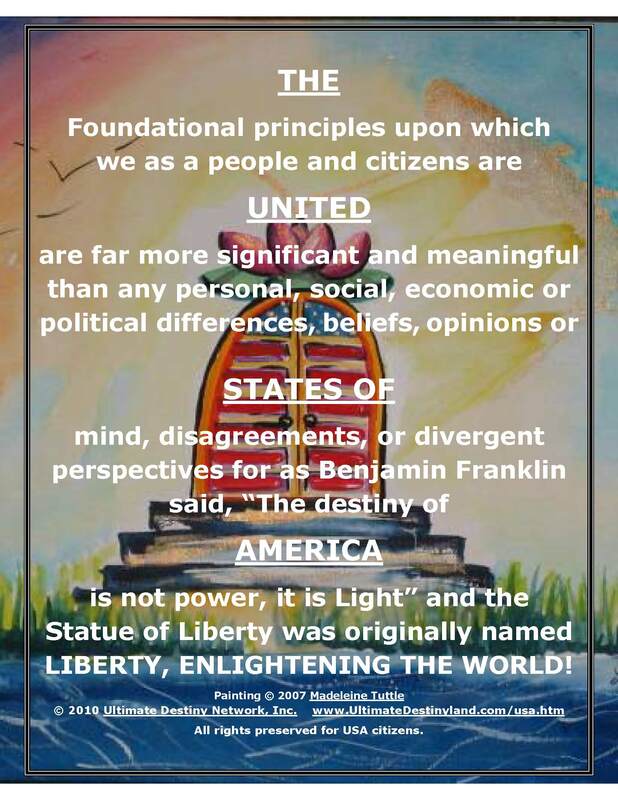 Our ultimate vision for America is seeing (and helping) it fulfill its ultimate destiny as envisioned by Ben Franklin and as inscribed on the Statue of Liberty. We understand that is something like “America, enlightening the world”.